This immaculate 3 bed/2 1/2 bath brick ranch home with a finished walkout basement and an attached two car garage. The basement is perfect for entertaining or spending a quiet evening in front of the large wood burning fireplace. The home has a large covered deck that oversees the property that is perfect for watching the wildlife while drinking a cup of coffee. There is an extra outbuilding (20x24) perfect for a workshop that has heat, water with 1/2 bath, not to mention a loft with shelving perfect for storage. Located on the back of the property is a metal sided barn (20x24) with lean-to (12x28) also with a walk up loft. 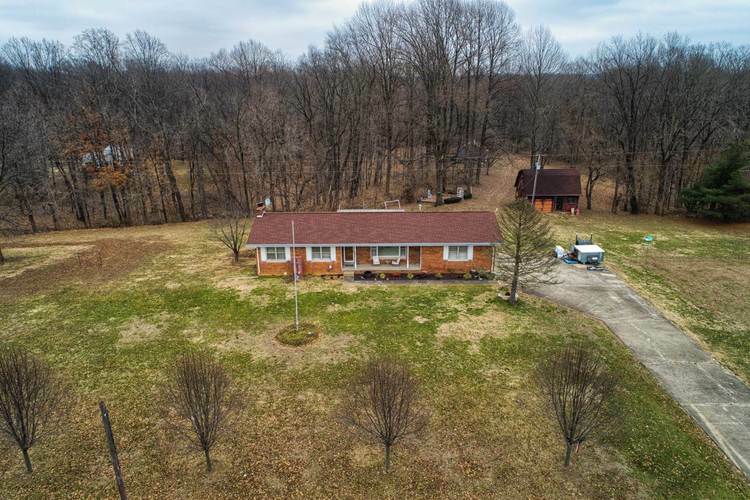 All located on a secluded 6.12 acres with woods on the backside of the property. This home is a must see in great location!!!! Directions:Diamond to Parker Settlement. Right on Rexing Road.